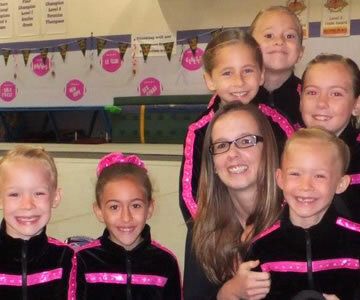 Gymnastics, fitness, and fun for kids of all ages. Boys and Girls ages 3–5 build super skills as they run, jump, and flip. Compulsory's, Optionals & Xcel programs for ages 5 and up. Get ’em off the couch! When school’s out… Matrix is in! At Matrix we believe in quality and you’ll see that value expressed in everything we do. From our training regiment and the equipment in our gym, to our highly-trained and fully-certified coaching staff; we pride ourselves on continually besting our best. It’s that ideology that’s made us one of San Fernando Valley’s premier Gymnastics Clubs and it’s the same value we instill in our athletes. Our club is a proud member of USAG and strictly adheres to their guidelines and best-practices for training, competition, certification and safety. Be assured that all of our classes are well-structured and are under the supervision of trained and certified staff members. Winter Camp Enrollment is now Open!!! Sign up today! Fall/Winter Enrollment is now open! Sign up today! Matrix State and Regional Champions!